Chilean Grape Regions - Gino Pinto Inc. 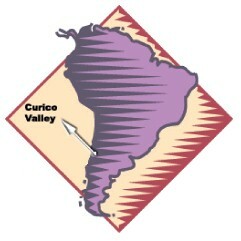 The Curico Valley is largely affected by the Coastal Range, which blocks the maritime influence and creates a continental effect. The result is a pronounced daytime-night time temperature differential that is very beneficial for flavor and aroma development. Our grapes are sourced from family-owned vineyards which go back generations. Their mission is to provide high quality grapes and exceptional service. The grapes are packed in 18 pound plastic crates and refrigerated from harvest to delivery to our clients here in the U.S. These wine grapes are delivered to you in exceptional condition and are of the highest quality. 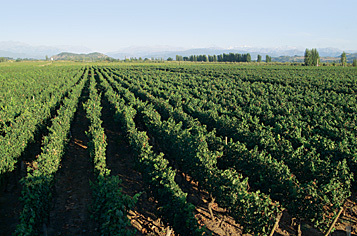 Siete Tazas / Galán Vineyards, Terramater, Vinos Los Robles, Viña Aresti (Bellavista), Viña Astaburuaga, Viña Echeverria, Viña La Fortuna, Viña Miguel Torres, Viña San Pedro, and Viña Valdivieso.